May 22, 1956 – Mayor Richard J. Daley says it might be a fine idea to have gondolas, “operated by experts from Venice,” [Chicago Daily Tribune May 23, 1956] on the Chicago River. He added further that it would be great to see boys and girls fishing from the river banks. 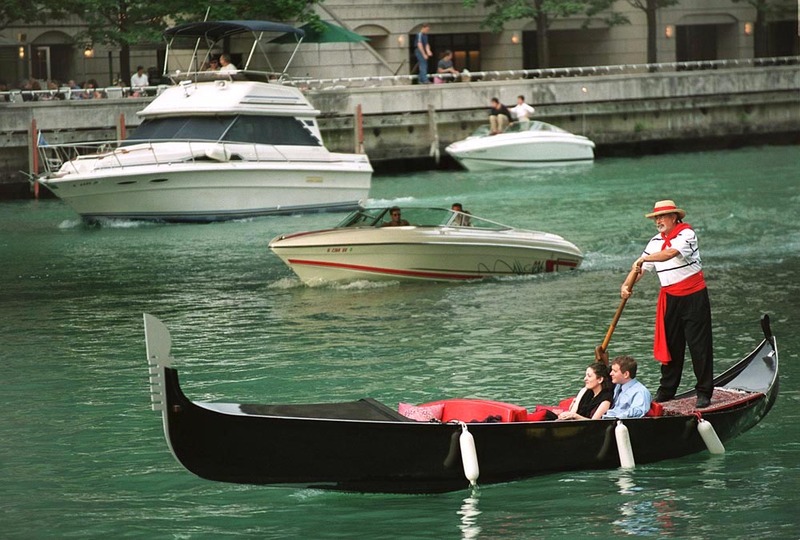 Behind the message lies a motive – the mayor adds that for such pastimes to occur the federal government would need to permit an increased diversion of Lake Michigan water into the river, something that cities and states on the Great Lakes have fought for over four decades. May 22, 1934 – Disaster occurs at the Oakley building, 143 West Austin Avenue, when a 40,000 gallon water tank on the top of the building falls through the roof and smashes through the core of the building to the first floor. Five workers inside the building are killed and another half-dozen seriously injured. 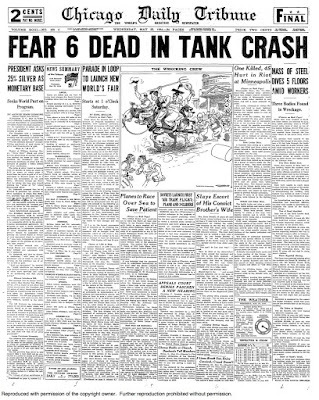 One of the injured, Clyde Otto, who was hurt in the stampede for the fire escapes describes the event: “The walls began to shake all of a sudden and we heard a series of crashes – I guess it was the tank hitting the various floors. 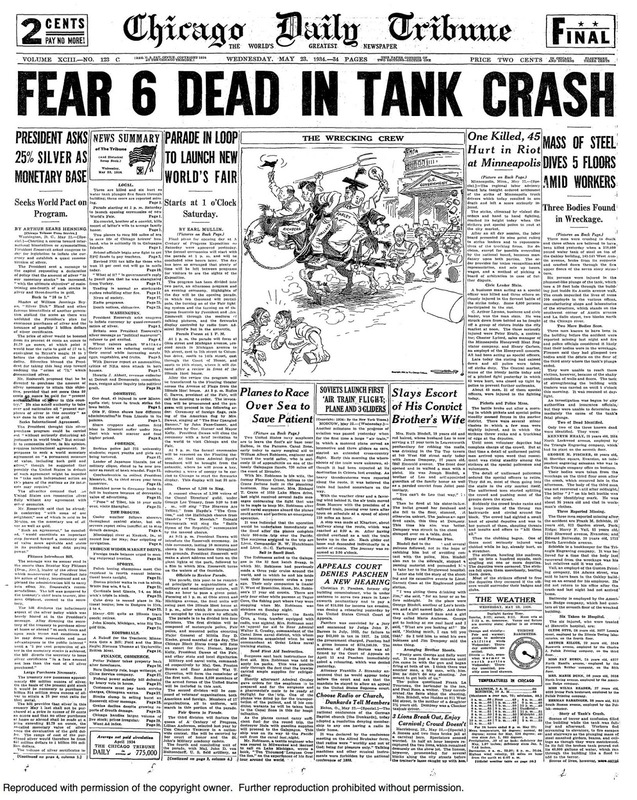 The girls began to scream and every one rushed for the fire escape.” [Chicago Daily Tribune, June 2, 1934] The last inspector to examine the tank was Daniel Hartford, who had approved it in January. Appearing before an inquest on June 1 he was asked how much he knew about the work he was doing. Hartford answered, “I didn’t know anything about it . . . I’m just the same as you or anybody else who might inspect it.” A few days later the city’s building commissioner says that of the 3,000 water tanks on city roofs the building department only has records for two-thirds of them. At least a thousand such tanks were built before 1919 when the state required that blueprints of the tanks be filed with the building department.